Doing the first phone call can be scary and overwhelming. 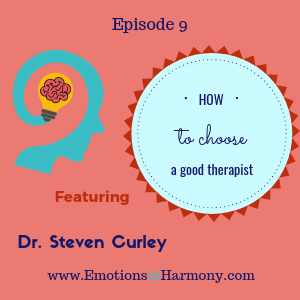 In this episode, Dr. Steven Curley, interviewed by Dr. Carmen, will help you to prepare for this process of choosing the person who is going to help you in the most important journey towards your emotional harmony. Next PostGratitude message to our teen graduate!